History: 40 year old man with 1 week history of productive cough and fevers. 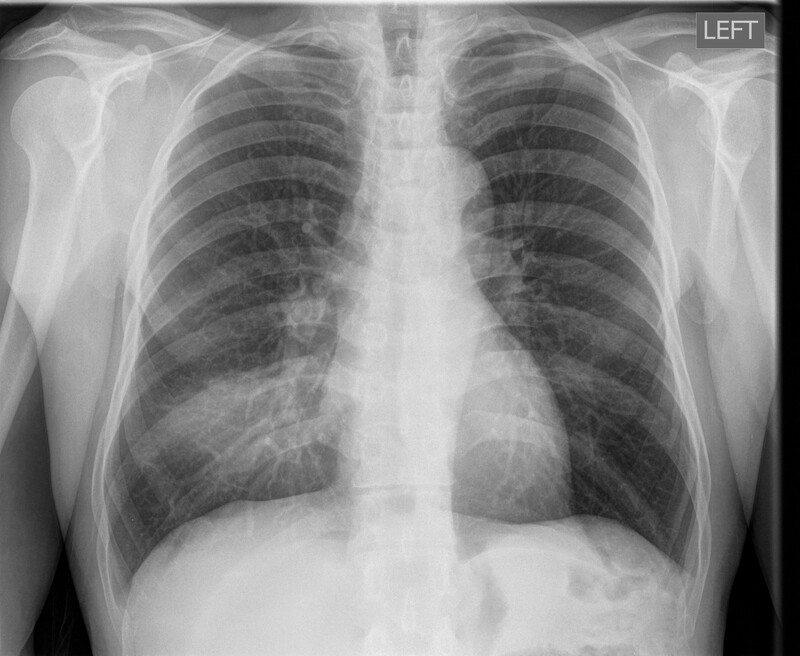 Right middle lobe pneumonia: Left lateral chest radiograph in the same patient shows marked consolidation of the right middle lobe, anterior and superior to the right oblique fissure. 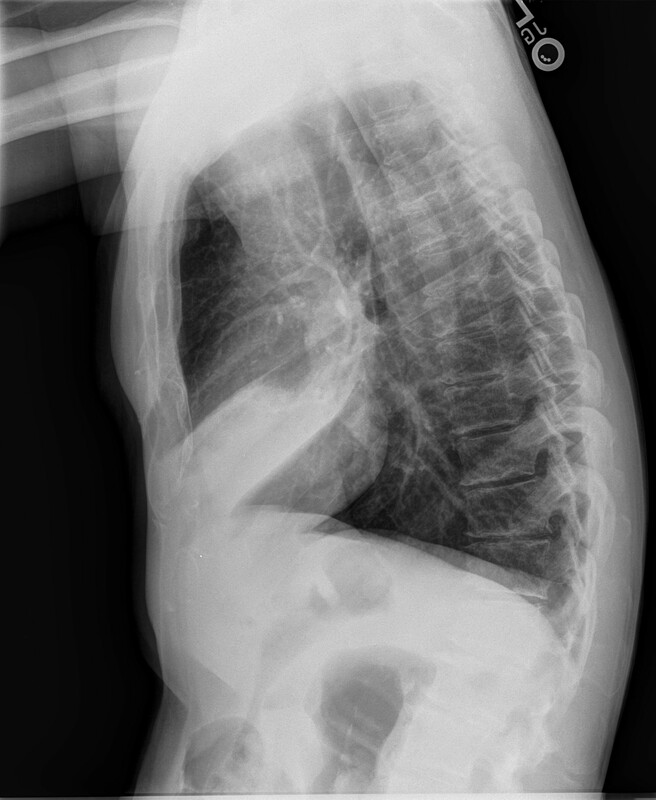 This is a classic case of lobar pneumonia, which is most commonly bacterial in origin. Hospital acquired pneumonia is commonly caused by: Staphylococcus Aureus, anaerobes, and gram negative organisms. Community acquired pneumonia is commonly caused by: Pneumococcus, mycoplasma, viruses, and not commonly legionella or klebsiella. If the lung consolidation doesn’t improve in 6-8 weeks, the concern is heightened for an obstructing lesion in the bronchus, such as bronchioalveolar cell carcinoma. Read about the differential diagnosis for lung masses. Read about the differential diagnosis for a solitary pulmonary nodule.